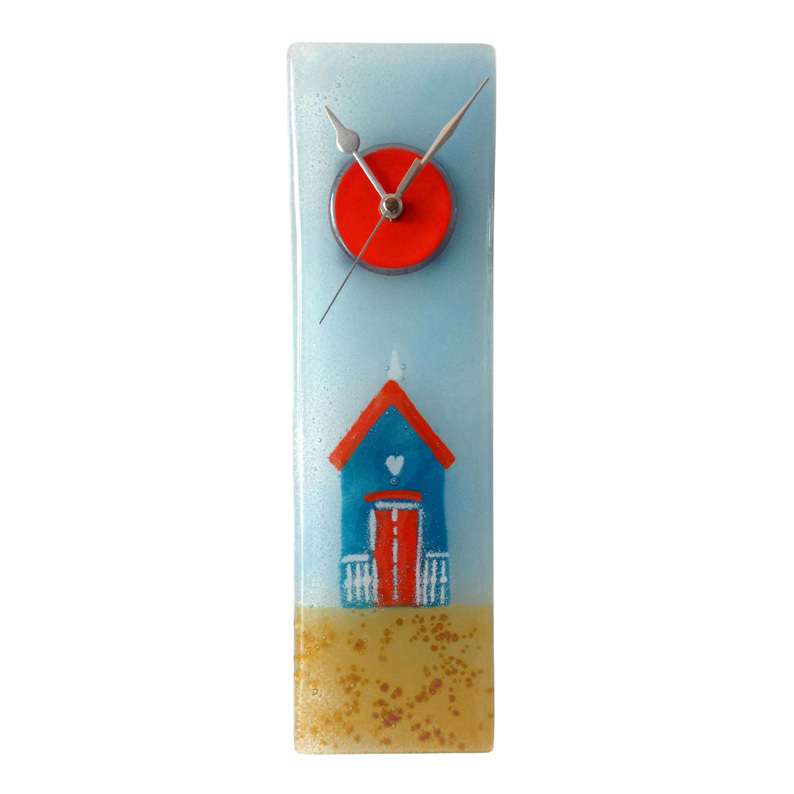 A stunning, handmade fused glass clock that is sure to be the feature on any wall as it is not just a clock, but a piece of fused glass artwork as well. Meticulously designed by hand to create this eye catching aqua beach hut design using fine glass powders and particles to maximum effect. When fused together in the kiln we get a fabulous finished design within the glass that will be the envy of all that see it. A good sized 10cm wide and 35cm length.